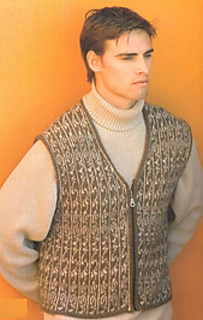 Vest in two-color, stranded knitting with strong vertical lines. Chart is easy to follow, and vest is worked in the round in one piece. 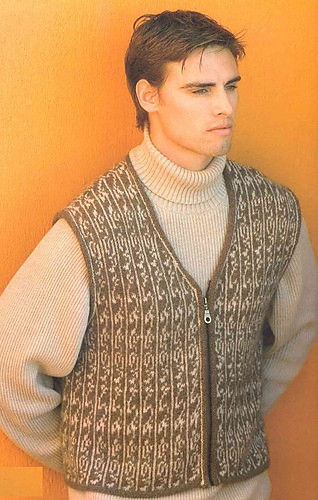 Armhole and neck shapings are built into the pattern. Pieces are sewn and cut to separate for front and armhold openings (steeks).